Successful brands have one thing in common: a strong brand identity, because at the end of the day, a burger is just a burger and a pizza is just another pizza. When trying to build a strong brand culture that will propel your restaurant to the next level, create a powerful customer experience that will stand out and empower your customers to live, breathe, and eat your brand’s culture. 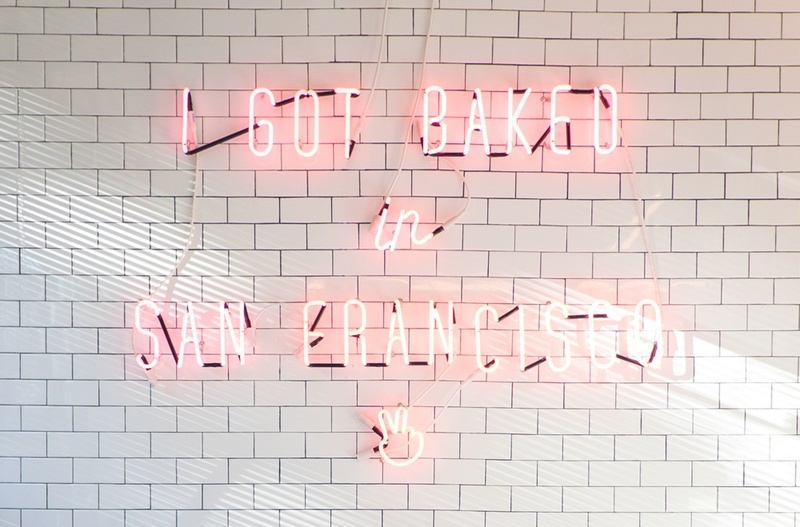 We’ve seen brands like Sweetgreens, &pizza, and Mod Market grow by leveraging their strong brand culture to influence and shape how their restaurant's look and feel….and they did so by being unique! 1. Choose Elements That Tell A Story–Is It Appropriate or Just Trendy? Don’t make design decisions on what’s currently trendy. You’ll inevitably fall into a sea of cliche restaurants that did the same exact thing. Instead, make decisions that support and reinforce your brand’s value proposition and vision. What are the three things you want your customers to think of when they think of your brand? Use your answers to inform your design decisions. Unless your brand is built around renovating old factories in urban areas, you can probably forego the reclaimed wood look and opt for something a little more unique (e.g. monochromatic, bold stripes, neon-tropical, etc.). This is crucial; people today expect spaces to be tech-friendly, well curated, and social. In an era where drone delivery exists, convincing customers that your store is worth visiting is harder than ever. Remember, you’re not designing a restaurant, you’re designing an experience. Consider these questions: How long do you want your customer to stay? Do you want customers to study or work there? Do customers eat alone or do they eat in groups? This kind of thinking can really impact your design decisions. Integrating data ports into your tables or under your booths might be a great option (everyone hates heading to a cafe and not having any plugs around). Utilizing mixed seating settings could be a great idea, too, like offering lounge chairs for lingering customers or communal tables with backless barstools for the ones that just want to eat and run. How does the layout of the restaurant interact with the flow of the space when customers are ordering versus when they are eating? 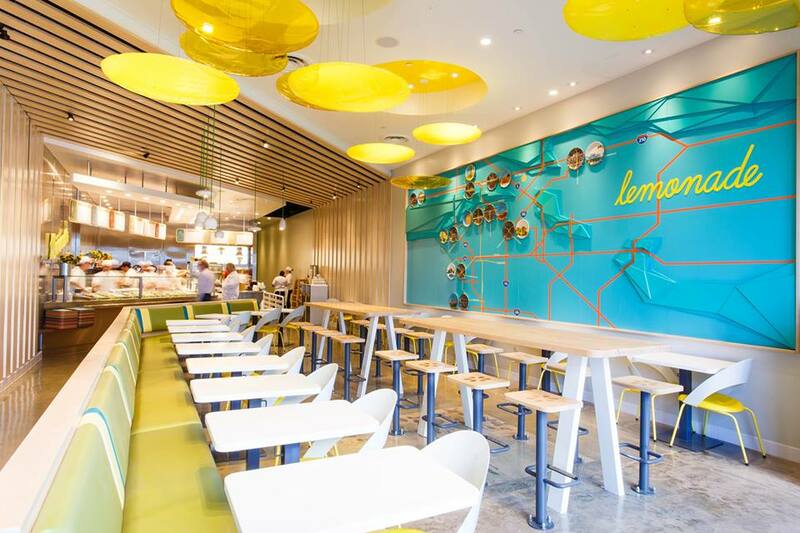 Sweetgreen has bleacher-like seating in some of its stores that plays nicely with their dedication to celebrating community and living the #sweetlife. Sally Hogshead, of How to Fascinate, once said, “Different is better than better.” Take a risk and be different, whether you pick a unique looking restaurant chair, or slap witty phrases on your napkin dispensers. At the end of the day, people will remember different, and maybe you’ll even find yourself in a whirlwind of social media activity because of it. For example, the image above from Mr. Holmes Bakeshop has been posted on instagram almost 30,000 times. With such a competitive marketplace, brands can differentiate their interiors by simply bringing their culture to the forefront. By choosing design elements that are unique to their story, thinking of entire dining experience, and taking a little risk, they can create an interior space that is natural—not manufactured—to their ideas, values, and customers, and brand.